Home » Get That Summer Glow! The Summer sun is waning and the smell of Fall is in the air, but that doesn’t mean you can’t still have that Summer Glow! To get the most out of what’s left of the season, I thought it would be fun to share my favorite ways to achieve Goddess status. 2. Nourish: I love eating fresh fruits and veggies during the Summer. I crave salads with avocado and BLT’s all season long – garden fresh tomatoes please! I seriously think I could eat both daily and never get tired of them, but if you need a little more variety in your life Aloha.com has some really awesome healthy recipes to try out (my favorite, the Berry Tropical Smoothie Bowl – yum!). 3. Protect: We would be lying to ourselves if we said we didn’t enjoy basking in the warm sun during the Summer, but the key is to protect our skin while we do it. My favorite SPF is the Broad Spectrum SPF 50 Sunscreen Oil from Supergoop! It smooths on easily, smells nice (not that typical sunscreen smell) and doesn’t leave you with that sticky feeling – yuck! 4. 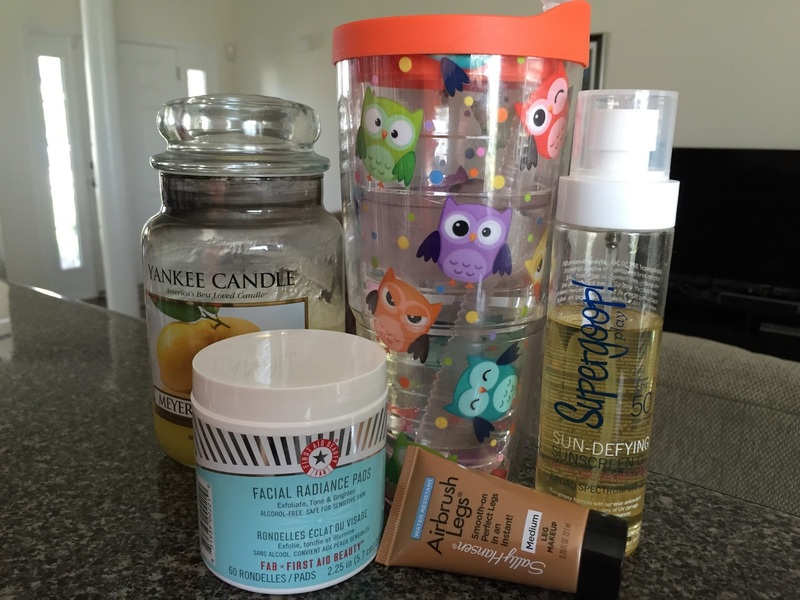 Exfoliate: Every night, all year round, I use a chemical exfoliator. I find that the manual versions just irritate my skin and make it very unhappy. My favorite are the Facial Radiance Pads from First Aid Beauty. They are super gentle, never upset my skin, but always leave me with the glow of a younger me. What’s not to love about that! I received this product complimentary from Influenster for testing purposes. Previous Post My 100th Blog Post!